This topic describes how to get started building your Drupal portal. For information about building an integrated portal, see Building your integrated portal. Note: Support for portal development using Drupal is available by request for paid accounts only. Contact Apigee Support for assistance if you wish to use Drupal for your portal development. Note: For a list of default portal URLs for Acquia, see Managing your environments. Menu items for the pre-built Blog and Forum pages. A Drupal administration menu only available to Drupal administrators of your portal. This is where portal administrators perform much of the site's configuration. 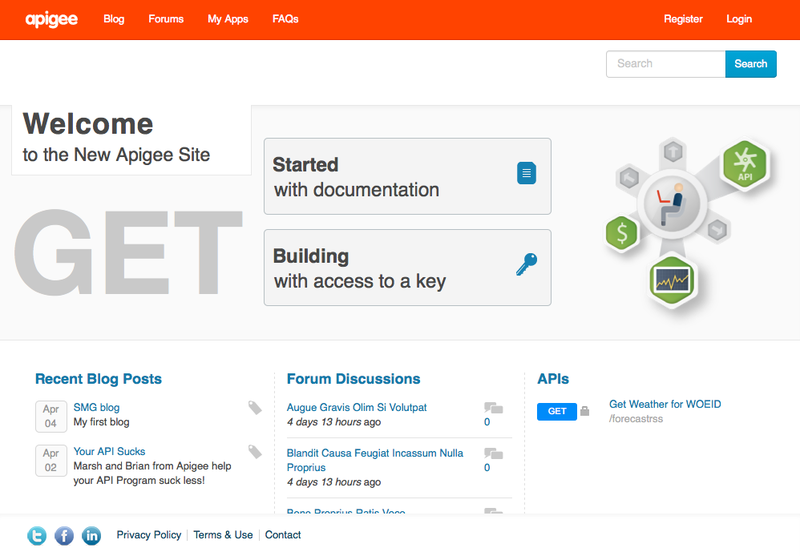 If you click the Apigee logo on your portal, you'll get to the home page. 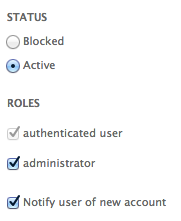 In the Drupal administration menu, select People > Add User. Enter the required information about the new user, and provide a temporary password. Be sure to select Active and administrator. To have an automatic email sent to the user with a link to the new portal, select Notify user of new account. When a new administrator logs in, they will have the same administrator rights as you. The developer portal requires that you configure an SMTP server to send email messages. To configure the SMTP server, you must first enable the Drupal SMTP Authentication Support module on the developer portal. See Configuring email for more. Drupal runs almost entirely on modules—self-contained code plug-ins to the Drupal framework. Anything you do or configure in Drupal is controlled by a module, from menu control, to layout configuration, to reports. To see a list of modules that are installed in your portal, select Modules in the Drupal menu. To start configuring your portal, see Add and edit content. Before you send developers to your portal, be sure you have API products (bundles of APIs) to select when they create apps on your portal. For more information, see Create API products. When your portal is ready for public consumption, start sending developers to it. When they register, they're added as simply "authenticated users" (not Drupal administrators), and their user information is automatically added to Drupal—and to your enterprise.apigee.com environment, where they are registered as "developers". 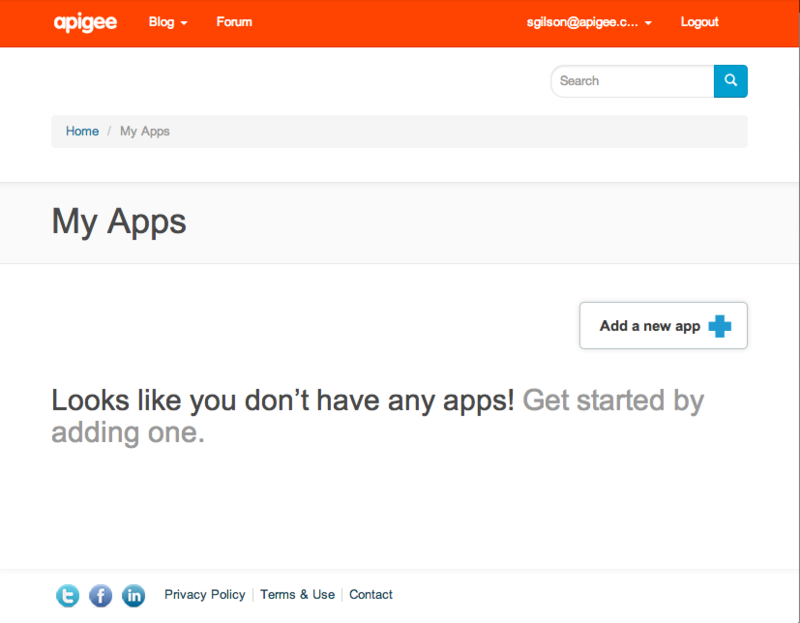 When developers register apps in your developer portal, where they select API products to use in their apps, those apps are also registered on your enterprise.apigee.com site. Your developer portal and enterprise site are connected.